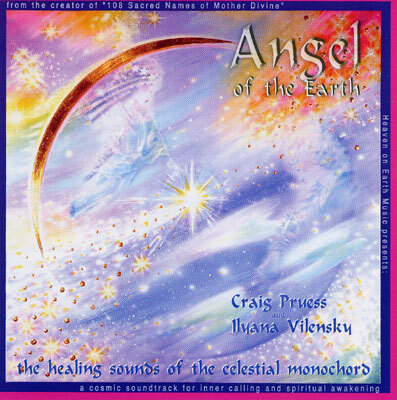 The Healing Sounds of the Celestial Monochord! This spacious, ethereal, and deeply healing album introduces the amazing 56 string MONOCHORD, a healing instrument that you lie on! Ilyana is a sound healer, Reiki practioner and yoga teacher from Somerset, UK. Craig and Ilyana have spent many months capturing this incredible sound. Also features sitar, tambura, Native American Indian flute, and Ilyana's haunting other-worldly vocal sounds. For all those who love the Sacred Chants of Devi, this is the next one to journey with. Heartfelt and penetrating, amazing sound, with three 20 minute tracks, perfect for yoga nidra, birthing, healing sessions, child's sleep and relaxation.